Want to Teach English in Mexico? One of the most beautiful and fascinating cities in Latin America, Oaxaca (pronounced wah-HAH-kah) was recently voted one of the top ten destinations in the world by Travel and Leisure magazine – number 1 in Latin America. Given Oaxaca’s year-round spring-like climate, moderate size, and convenient proximity to outlying villages and archaeological sites, this is hardly surprising. The Training Center is in a beautiful, quiet house in the downtown area, only eleven blocks from Oaxaca’s main square, or zocalo (a 10-15 min. walk). Classes are held outside in the garden, on the terrace (with a nice view of the western part of the city), or in one of our classrooms. The TESOL Certification Program combines TESOL (Teaching English to Speakers of Other Languages) certification with a streamlined set of support services. The intensive, four-week TESOL training and certification course conducted in Oaxaca, Mexico provides participants with professional knowledge and skills in TESOL methodology, as well as teaching practice with local EFL (English as a Foreign Language) students. The 130-hour TESOL Certificate you will earn is internationally recognized and will allow you to teach English in any overseas location. During training, the staff will provide counsel and guidance on CV (resume) development, what Mexican employers are looking for, and schools that have teaching positions. The TESOL Certification Program Fee in Oaxaca, Mexico is US$1,600. Optional accommodations during your training are available with a local host family for $800. You will have a private room and a shared or private bathroom. Breakfast and dinner with your host family are included. A host family stay is an excellent way to fully immerse yourself in the Mexican culture and practice your Spanish! Teaching positions are readily available throughout Oaxaca, and elsewhere in Mexico. Most of our teachers have secured positions in the city of Oaxaca, instructing secondary school students and adults at the many English Institutes, the Language Center of Oaxaca State University, and at private Universities. There are also a few positions in small, nearby villages, and a few in primary schools. Teaching business professionals at company classes is also very common. Other than Oaxaca, Mexico City and Guadalajara are interesting markets for ESL teachers. Teachers looking to work in smaller cities may find jobs in Puebla and Veracruz. It is common for teachers to work part-time at one of the institutes or universities, and teach part-time privately. An ESL teacher in Mexico usually works between 25-35 hours per week. Business professionals often take evening classes or come to class before starting their work day, so if you like working irregular hours, this might be a good fit for you. Contracts tend to be longer at public schools and universities, 10-12 months is most common. At private language institutes, sometimes 6 month contracts are possible. That being said, as many employers are willing to help you obtain a work visa, they usually prefer that you are available for 10-12 months. Hiring happens year round in Mexico, although most teachers get hired between May and July for the new school year that starts in August. Private language institutes are looking for new teachers every month. Securing a job from abroad is more challenging than actually being in Mexico for your job search, but it is not impossible. However, to increase your chances of finding a job soon, we recommend that you are in the country and visit the schools in person or call to ask for an interview. A TEFL, TESOL or CELTA certificate is your first step into teaching English in Mexico. There is quite some competition and an ESL teaching certificate makes you stand out among other applicants. A 4-year degree is preferred, but not required. In fact, Mexico is quite ‘friendly’ for non-degree holders. Typical school salaries range from US$150-500 a month, given a 15-hour work week. Teaching an additional 3 hours of private classes a week could supplement this by $100-400 a month. Since room and board for an individual generally run around $400 per month it is possible, though not typical, for teachers in Oaxaca to save some money. Benefits: housing, health insurance and airfare are typically not provided by the employer. Most people, including those from the U.S., Canada, and Europe, automatically receive a 180-day tourist visa upon arrival in Mexico. 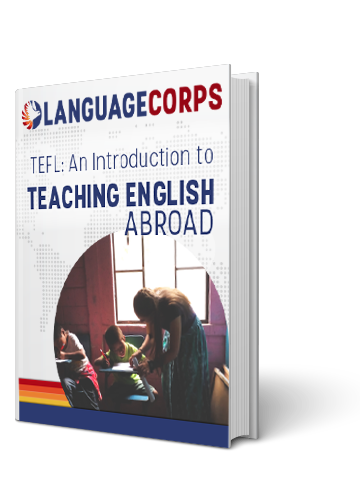 You do not need a special visa to participate in the TEFL course as this doesn’t exceed the 180 days. A tourist visa allows you to stay in Mexico for 180 days and can easily be renewed by ‘hopping the border’. For this reason, it’s quite easy for teachers to stay in the country longer term legally, and often they choose to accept cash-in-hand positions without an official contract. 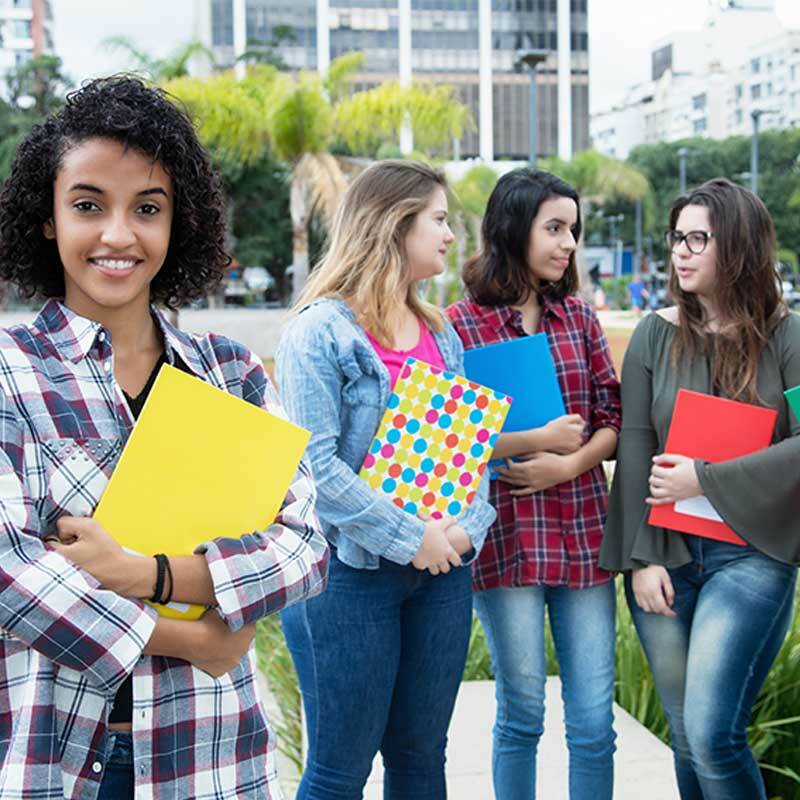 Unlike most Latin American countries, most schools in Mexico will help their teachers with the process of getting a Temporary Residence Permit, although the costs involved are usually covered by the teacher. The visa can be obtained from within the country once you have secured a job. Bare in mind that it can take some time before your tourist visa has been converted into the FM3 Work Visa. Some countries, like Australia, New Zealand, Ireland, and Singapore have established agreements with Mexico to promote cultural exchange between their citizens. In order to increase their citizens to travel and work in another country, they can apply for a Working Holiday Visa. This visa is usually meant for younger travelers and often has several other restrictions, but can be very interesting as it allows you to work abroad legally for a year. Oaxaca (pronounced wah-HAH-kah) was rated one of the top ten destinations in the world by Travel and Leisure magazine, and number 1 in Latin America. It’s definitely a MUST visit city! Oaxaca has much to offer, be it the colorful markets, local crafts, cuisine, pre-hispanic and contemporary art museums, convents and churches, and an active arts community; it is one of the most beautiful and fascinating cities in Latin America. The city of Oaxaca has a population of over 500,000, but it’s moderate size keeps it habitable enough for everyone. Add that to the comfortable, Spring-like temperatures, and it’s easy to see why people love to visit! Its location is also very convenient to outlying villages and archaeological sites that make for perfect day trips from this fabulous destination. Oaxaca lies in a broad and fertile valley 5,000 feet above sea level, surrounded by the Sierra Madre Mountains. Over the years, these mountains have served to protect and preserve the cultures of the Zapotec, Mixtec, and other Indian groups. Today, Oaxaca is the Mexican state most known for its rich mixture of indigenous peoples, customs, and languages. While Oaxaca is blessed with tremendous natural beauty and a rich cultural heritage, it is the people of Oaxaca, representing a beautiful tapestry of traditions, who are the region’s greatest resource. Mexican families tend to have close relationships and live in the same city with grandparents, aunts, uncles and cousins. In general, children grow up within a broad family structure. Not surprisingly, a high value is placed on the family and on sustaining those relationships. At an elevation of 1,550 meters, Oaxaca has a pleasant climate year-round, though April and May are relatively warm, and June and July are relatively rainy. Those not adventurous enough to indulge in Oaxaca’s fried grasshoppers will be delighted to know that Oaxacan cuisine is renowned for specialty cheeses (quesillo, a cheese similar to mozzarella, is delicious even served plain on a tlayuda with beans), sausages, and most notably moles. Mescal, the local drink of choice, is exported worldwide. Mole (mo-lay) sauces tend to be thick and smoky, with subtle flavors of dried chilies and citrus. Labor-intensive to prepare, moles combine dozens of ingredients: seeds, nuts, herbs, vegetables, spices and, of course, multiple chilies. While Mexico is not the most vegetarian-friendly nation, Oaxacan hosts are normally quite happy to show off their region’s ample supply of fresh produce. Just be sure to let them know, when ordering a dish “sin carne”, that chicken counts as a meat. Water, a respected and sometimes scarce commodity, should be used conservatively in the dry season, and consumed only when bottled. 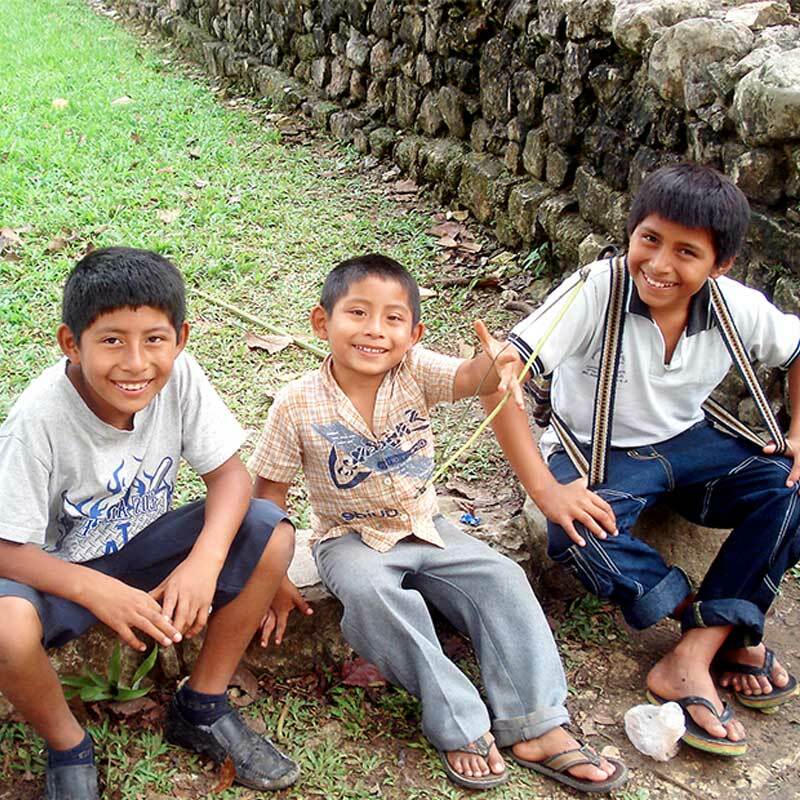 Most schools in Oaxaca maintain a fairly casual environment. Linens and cottons (not shorts) are appropriate in the city. Those planning to explore rural areas are advised to put function before form. When teaching, women should cover their shoulders (sleeveless shirts are appropriate, but very thin straps or tank tops are not). No low-cut necklines or very short skirts. Open-toed shoes are acceptable. Male Teachers should wear long pants (usually not jeans), a short- or long-sleeved shirt with a collar, and loafers or dress shoes. Long hair should be neatly tied into a ponytail. Oaxaca has something for everyone, whether your interest is ancient civilizations, indigenous culture, colonial architecture, gastronomy, arts and handicrafts, or bright color and festivities. The city is beautiful and peaceful and the locals are friendly, fascinating, and eager to interact with foreign guests. Monte Alban, one of the most important pre-Columbian archaeological sites in Mesoamerica and symbol of the Zapotec people, is only 16 kilometres from the city of Oaxaca. Another famous site is Mitla, an ancient Mixtec city that once controlled the entire valley of Oaxaca. More recent inhabitants, the Spaniards, built the town of Antequera (i.e. Oaxaca City) in 1529. The second city of New Spain, Oaxaca boasts magnificent churches and monasteries. Other attractions include the Museum of Contemporary Art, the vibrant music and nightlife scene, and numerous fiestas. The most important of the latter are La Guelaguetza, a harvest festival in late July, and La Noche de Rabanos, the “Night of the Radishes,” on December 23. Nearby are the pueblos in which Oaxacans make the state’s famous black pottery (San Bartolo de Coyotepec) and beautiful rugs (Teotitlan).